Northwestern Ontario is considered one of the top Whitetail Deer Hunting destinations in North America. The Whitetails keep getting bigger with many Ontario Whitetail Deer records for archery, cross bow, rifle and muzzleloader being broken every year or two. Bucks with huge racks and thick powerful bodies have become the norm and thousands of hunters travel to Ontario from all over the United States with great expectations. The Whitetail Deer have evolved to grow bigger to survive the harsh Ontario winters and the struggle for food. Whitetail Deer Bucks with a dress-weight between 250 and 300 pounds has become a realistic expectation for hunters. Every year there are Whitetail Bucks well over 400 pounds being harvested by guests of the outfitters and lodges listed in this website. There have even been Whitetails recorded in the 500 pound range (pre-dress weight) in Ontario but they don't seem to get the recognition they should since the rack is what is used as the trophy measurement standard. Whitetail Heaven will be expanding and adding deer hunting tips and hunting techniques as well as more links to deer hunting outfitters. If you have a high quality buck hunting picture, email it to me and I'll post it. If you are planning an Ontario Whitetail Deer Hunting vacation this is a good place to start as all the top Ontario deer hunting lodges and outfitters are listed. Feel free to contact me with any questions. Most hunts offered by outfitters in Whitetail Heaven are wilderness land, private forest and private farmland free-roaming fare-chase hunts for wild Whitetail Bucks. Hunting also takes place on public land, which in Ontario is called Crown Land. There is none of that private game-farm crap here in Ontario where people pretend to be hunters and shoot a caged deer.  That is the most repugnant thing to a real hunter. There are no Mule Deer in Ontario. The scientific name for Whitetail Deer is Odocoileus Virginianus and its proper English name is White Tailed Deer. In the southern states they are also called the Virginia Deer. There are actually forty sub-species of the Whitetail Deer found in North America. The type of Whitetails found in Northwestern Ontario are referred to as The Great Lakes Strain or (O.V. Borealis) and they are the largest wild Whitetails known. In Northwestern Ontario they have access to a wide range of food. In the deep wilderness they feed on grasses, softwood bark, leaves, shoots, plants and in extreme cased will eat pine needles. That's not always true close to human settlements. The original trails made by settlers back in the 1800s are now Highways 11, 71 and 17. These three highways form what's called the Whitetail Triangle. All along these roads is basically the only place you will find people and it's also where settlers hacked out the wilderness to make farmland. The soil is not good enough for special crops so farmers are forced to grow cattle feed crops such as corn and clover. All deer hunters know the deer go crazy over corn and clover and hunters also know that corn-fed and clover-fed Whitetails have the best tasting meat. 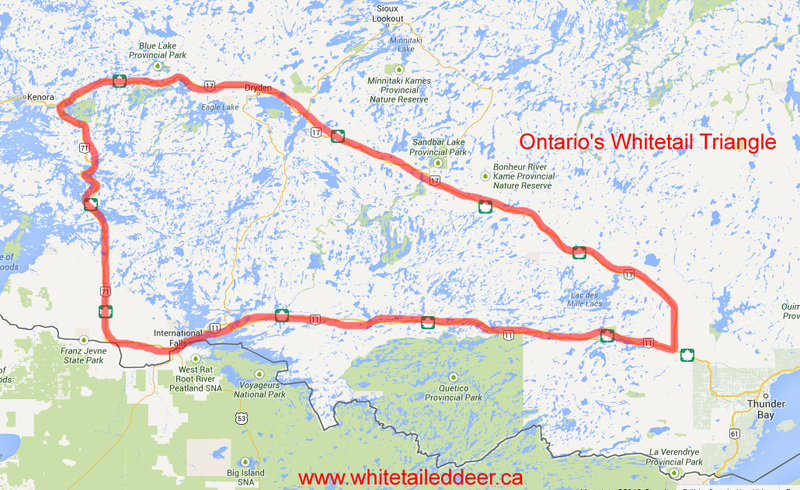 Any lodges and outfitters that are close to the perimeter of the Whitetail Triangle will have the best Whitetail Deer Hunting in Ontario. Please look through my deer hunting tips and check out the lodge's web sites. If you have photos or want me to post a Whitetail Deer hunting article that you have written please email them to me.